Special Guest, hosting the outdoor area from Midnight: CGB-1 from Wax Treatment! The beer garden open its doors at 6 p.m and Chalet at 10 p.m.
During the Berlin Music Week, DISCO-VERY will celebrate their recent launch at the wonderful Chalet Club with their remarkable Artists DJ T., Douglas Greed (Live) and Lopazz. 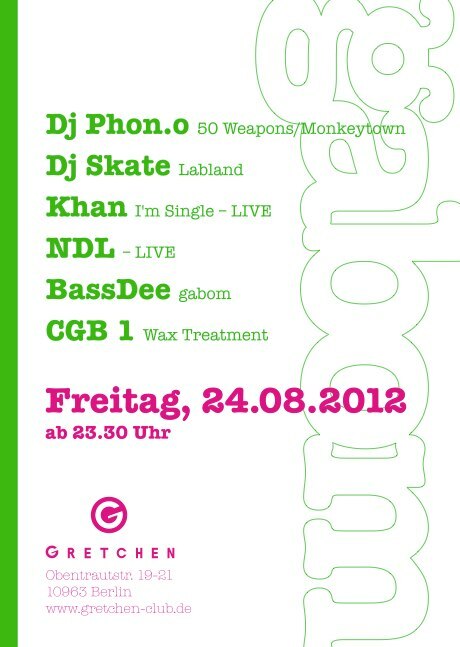 CGB-1 plays at Morning Factory Open Air, Frankfurt/M.